1) To develop students’ interests in the physical world and maintain a sense of wonder and curiosity about it. 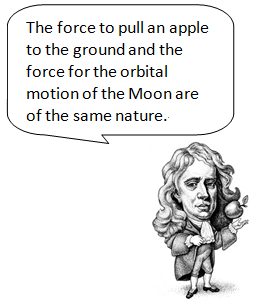 2) To make students appreciate and understand the nature of science in physics-related contexts. or collaboratively in physics-related contexts. 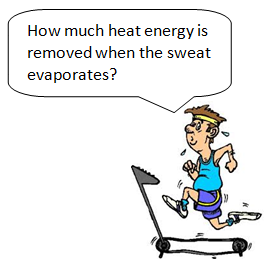 4) To develop students’ skills for making scientific inquiries. 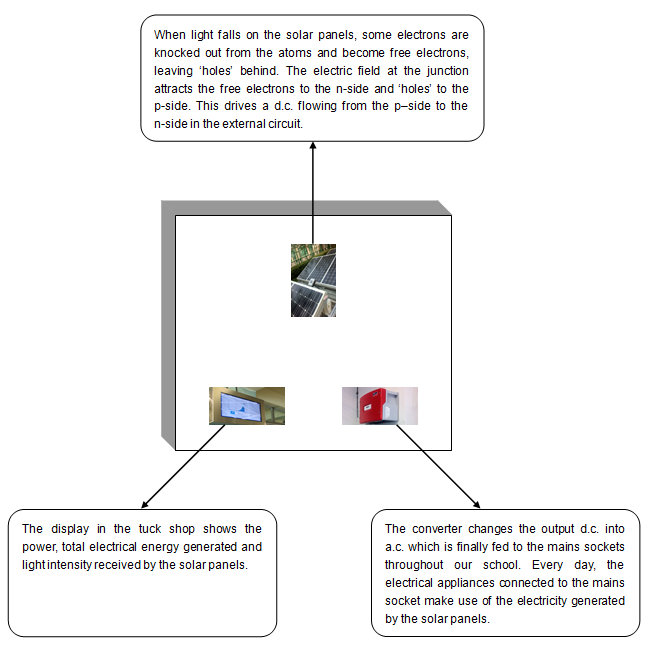 5) To help students make informed decisions and judgments on physics-related issues. 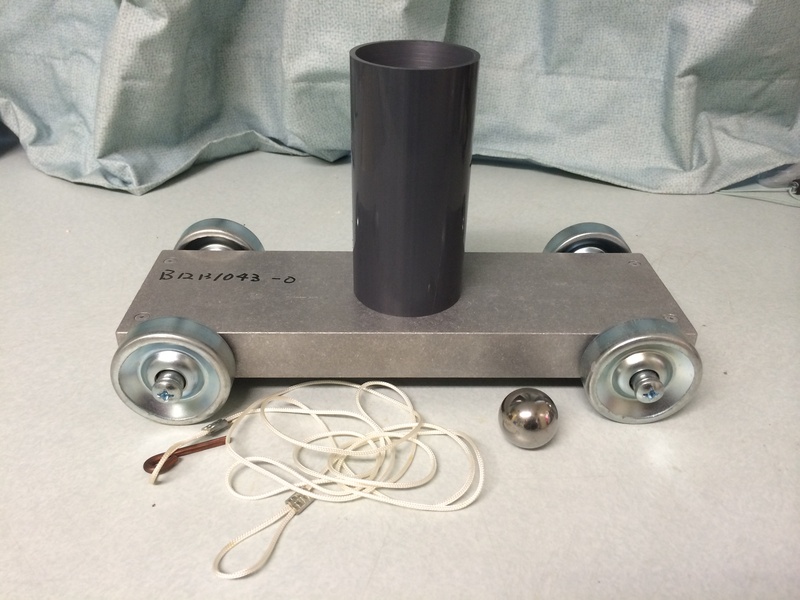 When the car is given a push to move forwards, a ball is projected vertically upwards from the car. 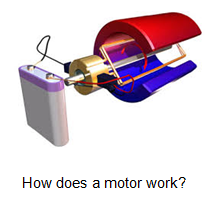 Due to inertia and negligible air resistance, the horizontal velocity of the ball and that of the car are the same. In short time interval, the horizontal distances travelled by the ball and the car are the same and the ball finally lands on the same position on the car where it was projected initially. 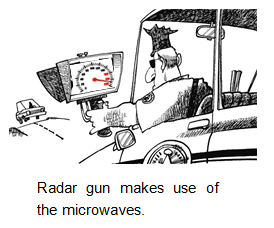 The ballistic car can be used to demonstrate the independence of vertical and horizontal motion in projectile motion. 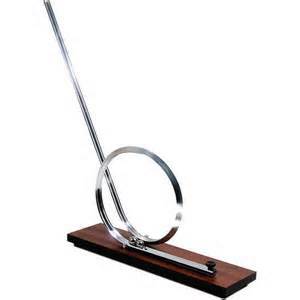 Loop The Loop Demonstrator is used to see the change from potential to kinetic energy using the loop-shaped rail and two different metals. 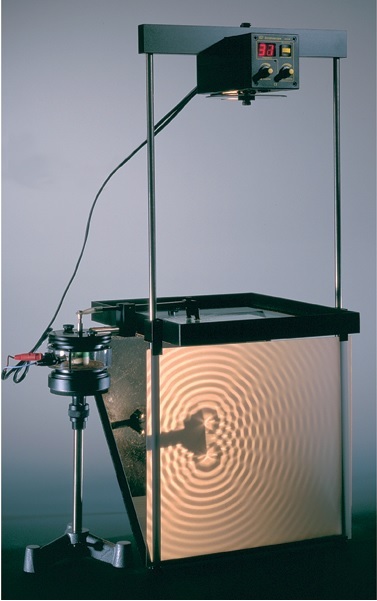 Ripple Tank is used to demonstrate the wave phenomena of water wave like reflection, refraction, diffraction and interference. 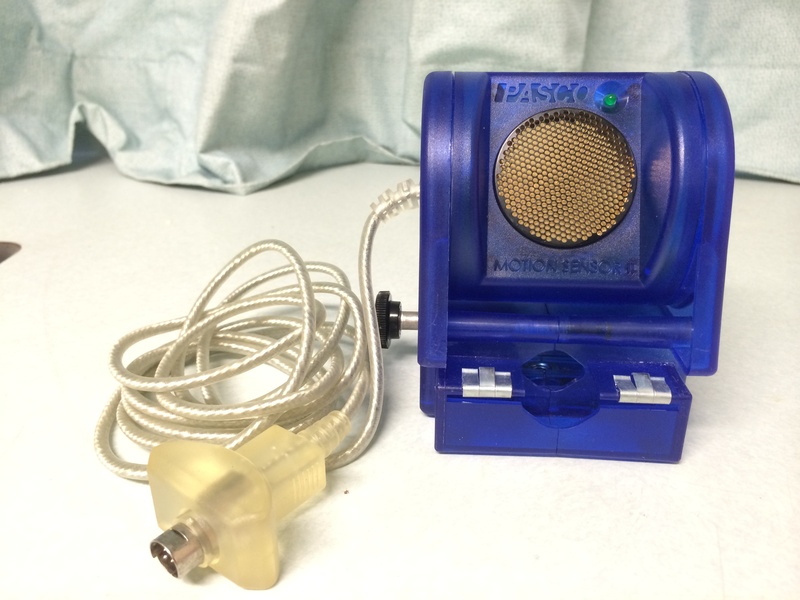 For instance, when it is equipped with two dippers which vibrate with proper frequency on the water surface, lines of bright and dim arcs(constructive interference) and lines of calm water(destructive interference) would be observed. 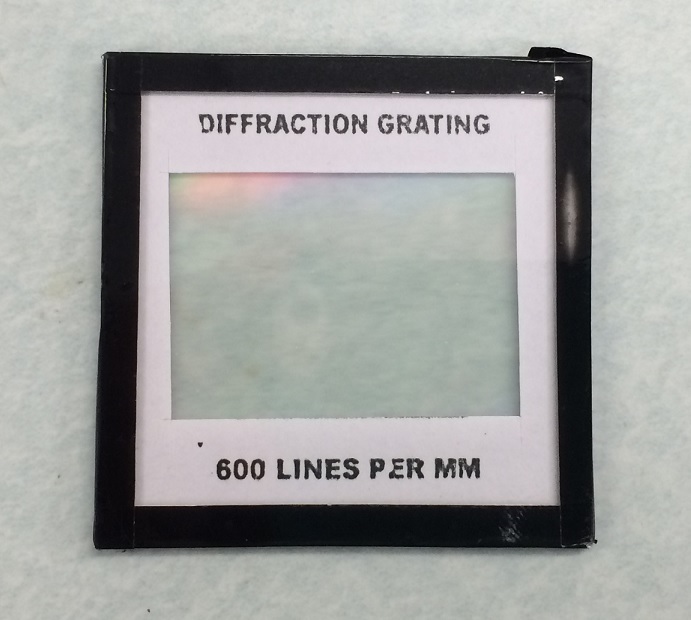 Double-Slit and Diffraction Grating are used to perform experiments to show the interference of light so as to demonstrate that light is actually a kind of wave. Through the Young’s double-slit experiment, students understand that the bright fringes are formed due to constructive interference, while dark fringes are formed because of destructive interference. The fringe separation increases with the wavelength of the light wave and the distance between the slits and the screen, but decreases with the separation between the slits. 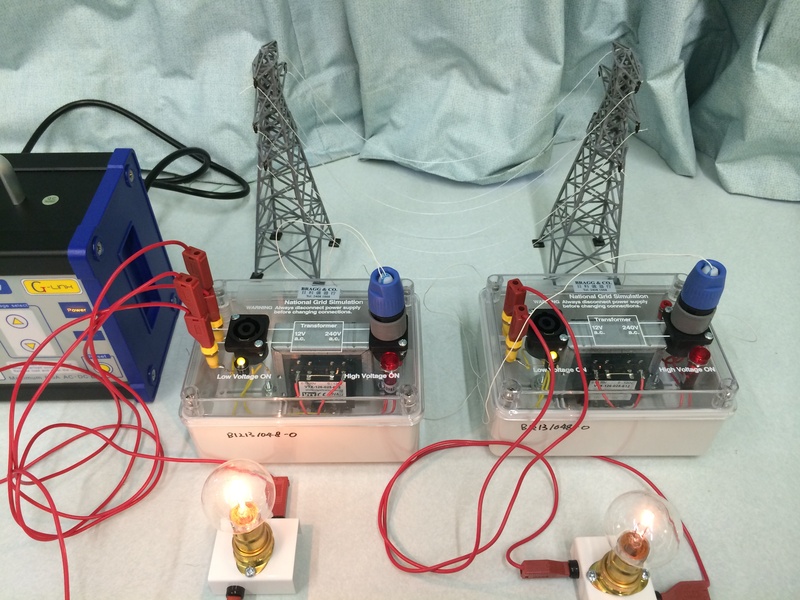 The Kit for Equipotential Lines enables the investigation of various electric fields using only a low electrode voltage (10 V). 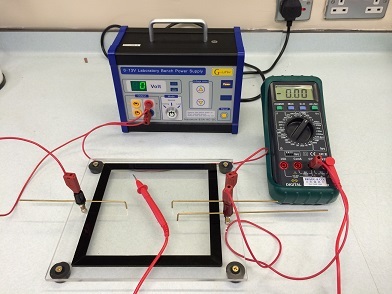 The position of the equipotential lines and their separation relative to one another enables conclusions to be drawn about the properties of electric fields. The smaller the separation between the equipotential lines, the higher the electric field strength. The field lines always run perpendicular to the equipotential lines. 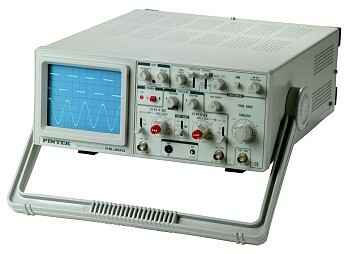 The Cathode Ray Oscilloscopeis an instrument commonly used in laboratory to display visual image of electrical signals. It consists of a vacuum cathode-ray tube which emits a beam of cathode ray. The tube consists of 3 main parts: the electron gun, the deflection system and the fluorescent screen. National Grid Simulator. Electricity is transmitted in the form of alternating current(a.c.) generated from the power station, through the transmission cables to the mains socket at home. In order to minimize the energy loss due to the heating effect of electric current in the resistance of the transmission cables, the voltage of the a.c. is firstly stepped-up to a very high voltage so as to make the electric current in the cables very small. This can be shown with the National Grid Simulator. 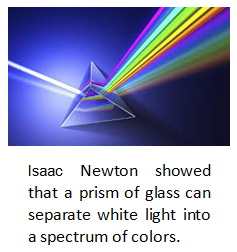 It provides histories of physics, explanations on certain interesting natural phenomena like mirage, lightning and rainbows, etc. 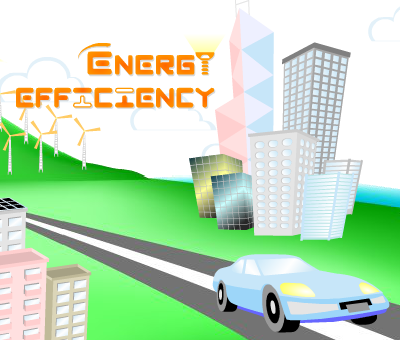 It provides interesting topics such as power production, domestic energy efficiency, energy efficiency in transportation, alternative sources of energy, etc. 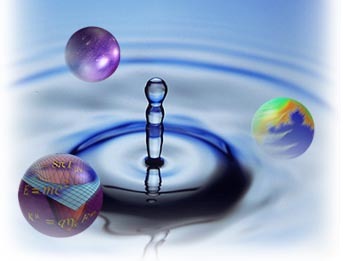 Bohr’s atomic model, Nanotechnology and Transmission electron microscopes(TEM) are explained in details in the website. 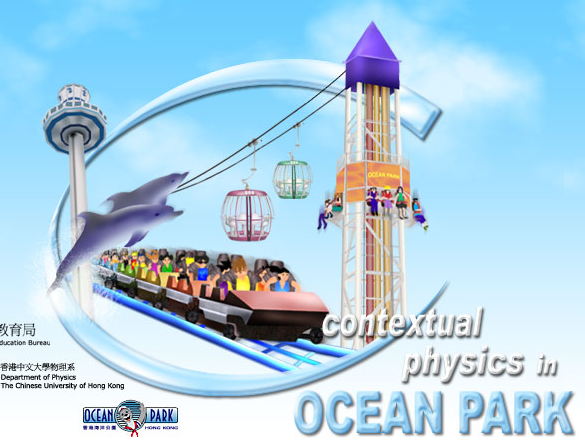 It makes use of the motor-driven games inside the Ocean Park to explain Newton’s Laws of Motion in Physics. It relates physics to daily life experiences. 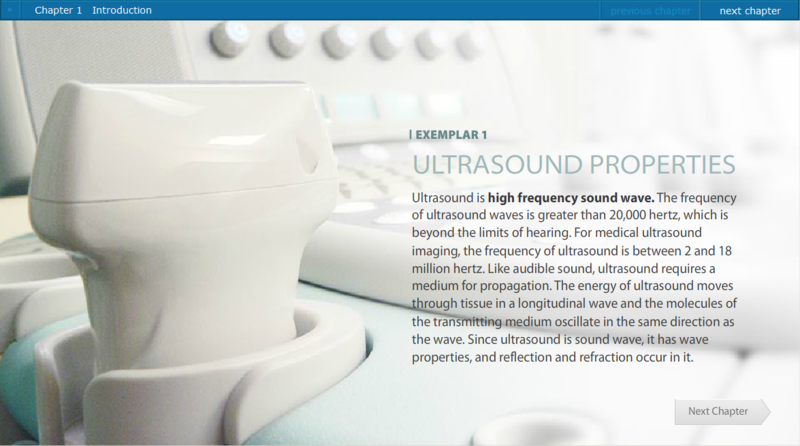 If you are interested in the Medical Physics. This web site provides a lot of useful and interesting information for self-study. The Museum has about 500 exhibits with 70 per cent of hands-on items for visitors of all ages. The most prominent exhibit in the museum is a 22-metre-high Energy Machine, When activated, the machine will trigger a series of fascinating and spectacular audio and visual effects. 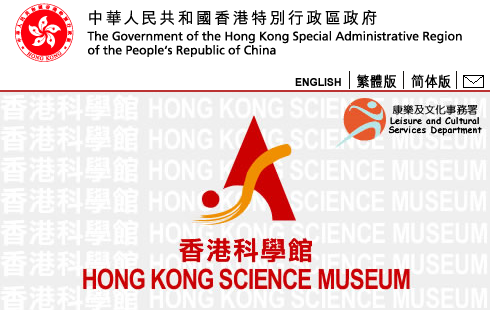 It is the first local planetarium for the popularisation of astronomy and space science. 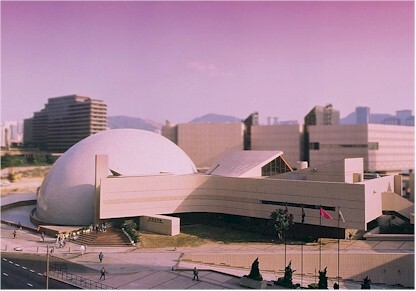 The unique egg-shaped dome renders the 8000-square-metre museum to be one of the most famous landmarks in Hong Kong.